Annual rates are inclusive of VAT and payable by advance quarterly instalments. At Barbridge Marina there are extensive moorings along both banks of the Middlewich Branch of the Shropshire Union Canal with the capability of berthing up to 70 narrow boats. We also have some space available for casual moorers. Please call or email for availability and confirmed prices. The towpath is on the opposite side of the canal and access to the marina facilities is across the bridge at the canal junction. 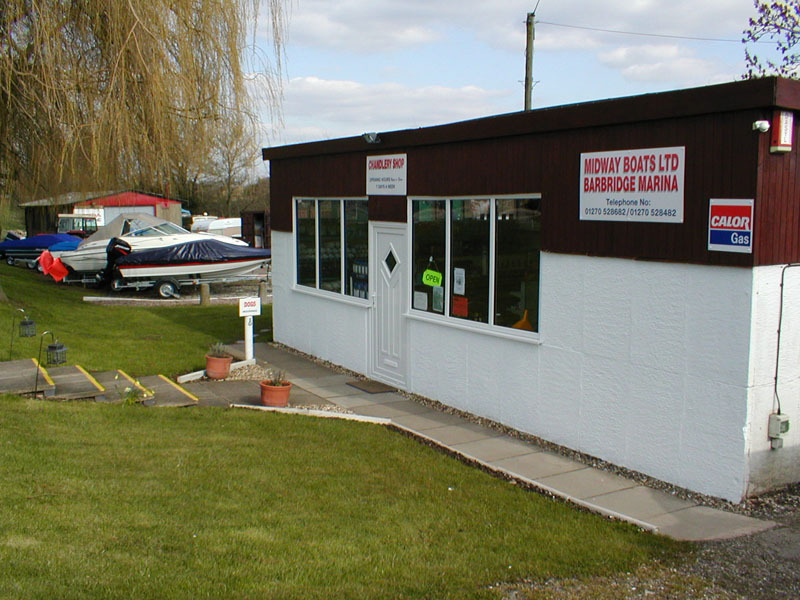 The marina side moorings (pictured above) are on the same side as the shop, boatyard, facilities and car parking area. 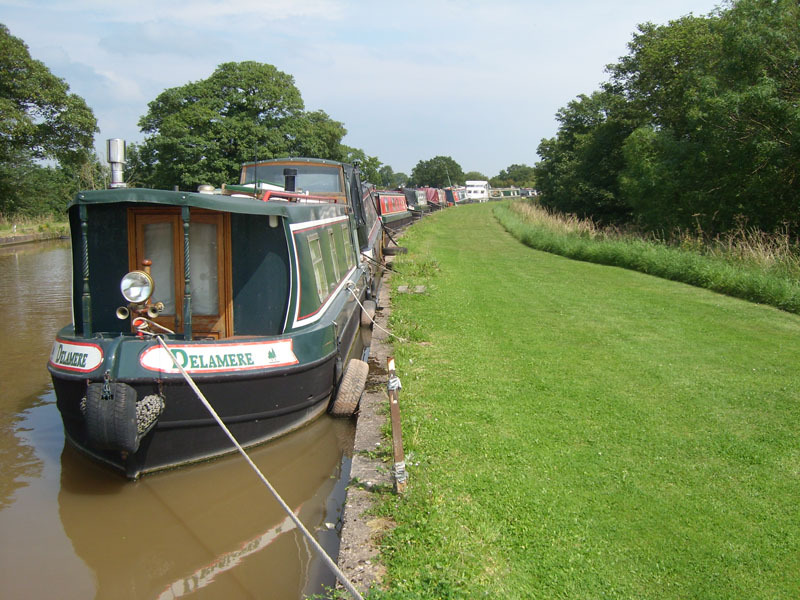 Our moorings are located at the junction of the Shropshire Union Canal and the Middlewich branch which enables cruising in all directions. 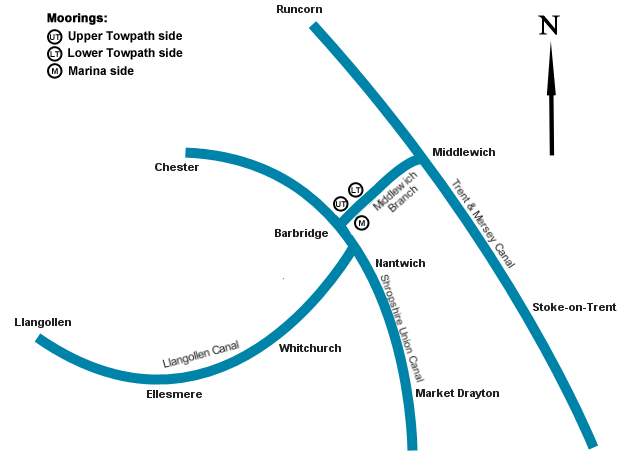 North to Chester, South to Nantwich and beyond, West on to the Llangollen Canal and East onlong the Middlewich Branch of the Shropshire Union Canal to the Trent & Mersey Canal which provides many more miles of canal network to explore and enjoy.